Podcast 85 brought the return of Graham Elwood who showed up five hours early. He had that much to talk about. 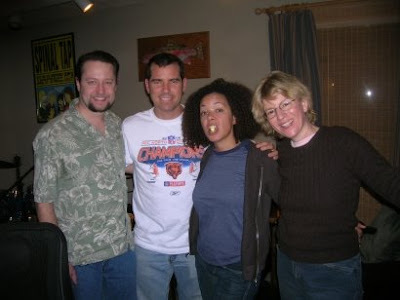 This was our first podcast which we streamed on talkshoe.com so we watched our language and still talked for two hours about so many things, I can't remember the details. But there was a lot of laughing, which you will join in on when you click and listen.